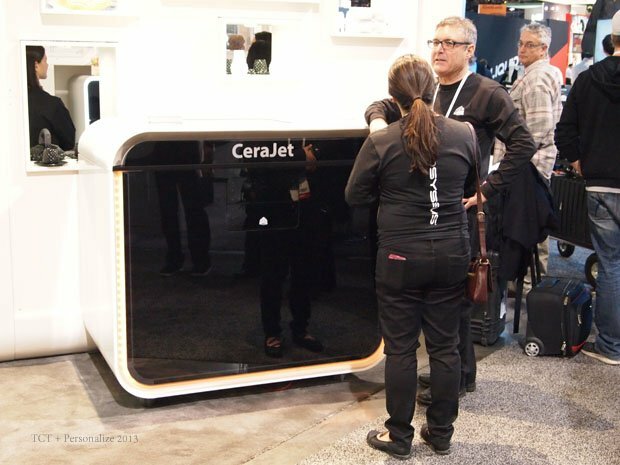 The Consumer Electronics Show is currently in full swing over in Vegas and the big news for 3D printing is that the two major consumer printer manufacturers – MakerBot and 3D Systems – are both doing it up big style, debuting a bunch of new, innovative devices. Here’s a rundown on all the big news from the 3D Systems’ stand, including two highly unexpected, potentially game changing models. 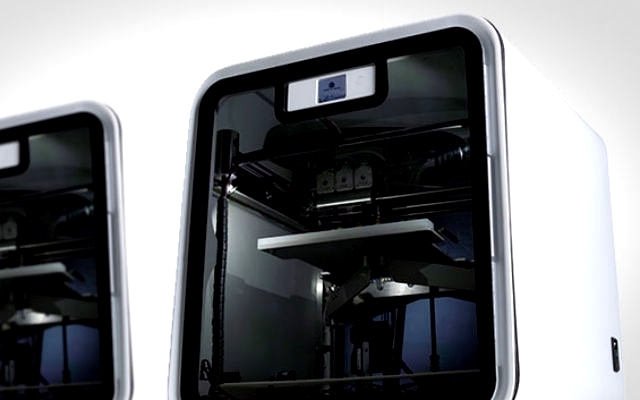 We’ll be posting a full report on all the big releases from MakerBot tomorrow. We already talked about the Cube 3 in our top devices round up earlier in the week. 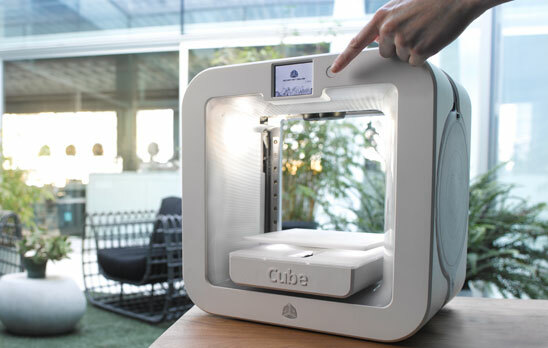 Essentially, it is the third generation of Cube home printers, boasting an ultra-stylish new design, two extruders, mobile printing and, perhaps best of all, an auto levelling print pad. It’s also IEC Home Printer certified, making it suitable for use by children as young as eight. The upgrade for last year’s CubeX certainly looks smarter than that device, with a fresh, new look to match 3D System’s latest line of models. It also packs a sealed build chamber, which makes objects less likely to warp, plus it can print layers as fine as 0.075mm. Well here’s something we certainly didn’t expect to see: a powder based printer that fires off ceramic objects. Judging by the high quality of the pieces on view at CES, this could send shock waves through the tiling and kitchenware industry. Also, expect it to feature in the creative processes of artists and sculptors across the globe when it is released later in the year. 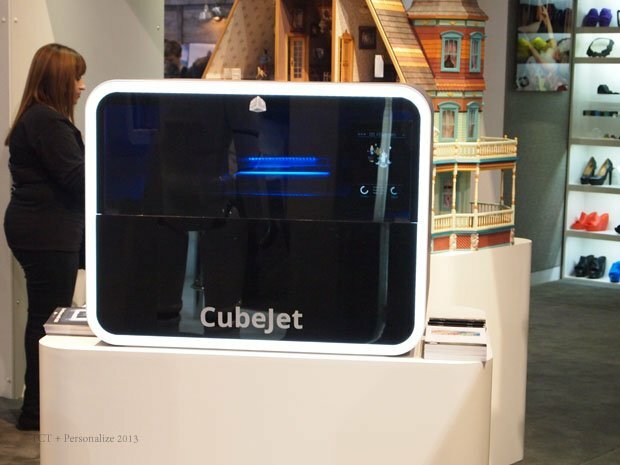 Using the technology 3D Systems acquired when it bought Z-Corp around this time last year, the CubeJet looks to be the most affordable and accessible entry level RGB colour 3D printer yet. 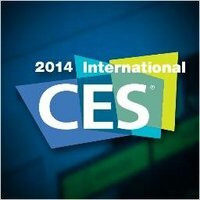 This high accuracy device will be retailing at less than $10,000 when it launches later in 2014. Lots of big 3D print firms are looking for ways to simplify the design end of 3D printing, in the hope it will open up the process to users without the time or inclination to learn Computer Aided Design. 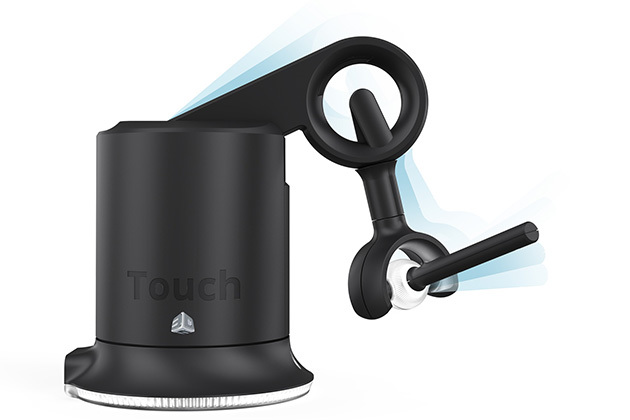 3D Systems answer is the Touch, a mouse that works alongside the Cubify Sculpt Software, allowing you to create objects by hand, in the same way you would sculpt clay. Perhaps the biggest news of all from the Consumer Electronics Show, 3D print-wise, is that 3D Systems is getting behind food printing in a big way. 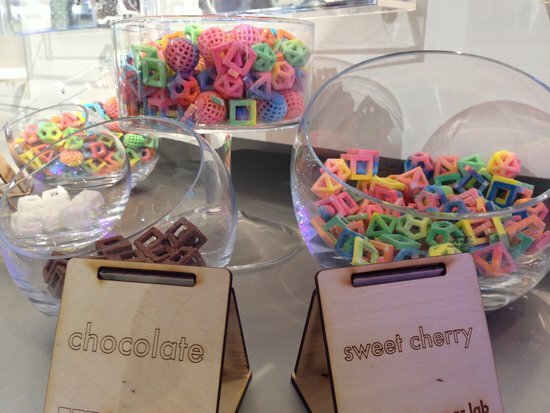 Using technology garnered from 3D System’s acquisition of The Sugar Lab, The ChefJet can print edibles in sugar, chocolate and candy with a single flavour. We haven’t sampled any of these treats ourselves, but are assured they pack a unique melt-in-the-mouth texture and a really full flavour. The ChefJet Pro takes things to the next level, with full colour printing capabilities, allowing professional cooks to print large scale, visually astounding deserts. Both machines will be on sale later in the year.